Sukartini ties pale pink pearls in a radiant cluster. Set on sterling silver, they adorn very feminine handmade earrings. 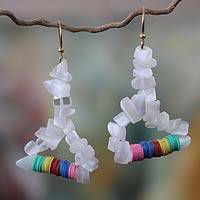 Anusara conjures a waterfall with these colorful earrings. 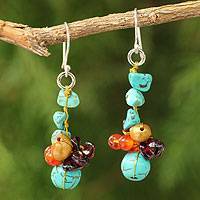 Interspersed with crystalline beads, carnelian moves gracefully on silver wires. 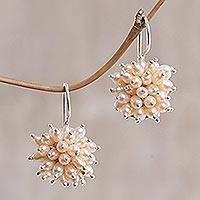 Sasina pairs pearls and white quartz, their colors complementing each other's shimmering beauty. 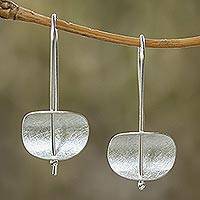 Hanging from sterling silver hooks, the earrings exude precious sophistication.